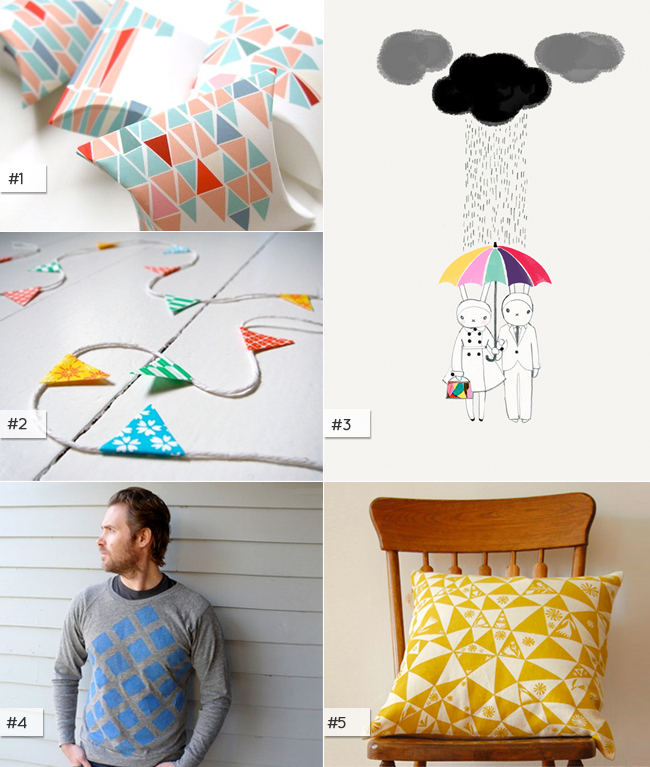 I was catching up on one of my favorite blogs - perfectbound and one of Julie's picks inspired me to create a flag & triangle inspired collection. Perfect timing since I wanted to share my latest batch of colorful paper garlands. I love this collection, thanks for sharing. That pillow keeps popping up everywhere - I wish it would pop up on my couch next! These are wonderful! And your garlands make me happy!